Shipping to the continental U.S. is free. International shipping will be calculated at the time of purchase. This includes US minor outer lying islands. You can email us at info@itsurplusliquidators.com for a shipping quote, or fill out the International Shipping Quote Form that is available on every product page. Some items may not be eligible for free shipping. 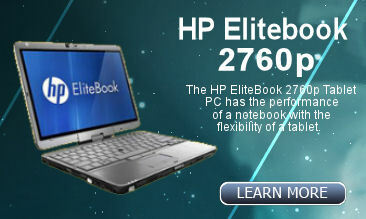 These include but are not limited to large items such as desktops, servers, and server parts. IT Surplus Liquidators reserves the right to charge additional shipping as necessary. You will be informed prior to shipping and will receive an updated invoice. We ship most of our packages via USPS and some larger ones with UPS. You will receive a tracking number within 24 hours of shipment. Insurance for all shipments is included. Please allow up to 2 business days for handling time. You can track your package on USPS.com or UPS.com, depending on by which service your package was shipped. Please Note: All orders are shipped Monday through Friday only during regular business hours. Overnight air shipping is not available for Sunday delivery. Delivery time is from point of order fulfillment, not order placement. The standard shipping method is USPS. Some larger packages will be shipped via UPS. Import duties, taxes, and charges are not included in the item price or shipping cost. These charges are the buyer's responsibility. Please check with your country's customs office to determine what these additional costs will be prior to making a purchase. Customs fees are normally charged by the shipping company or collected when you pick the item up. These fees are not additional shipping charges. We will not refund any custom duties/fees. First Class International is not available for items above $50. If this method becomes available for items priced above that amount, you will recieve an updated invoice. We are not responsible for the delay or non-delivery if you use USPS First Class Shipping Option. We will provide the tracking number that shows that the item reached International Hub ONLY. No further tracking information is provided by USPS for First Class Delivery option. By choosing USPS First Class delivery option, you agree to these terms. A. Any incomplete orders must be reported within two (2) days of receiving the package. B. For all returns you will need to contact us to request an authorization number. Be advised that numbers and specific RMA information are issued by email only. Unauthorized and unmarked returns will not be accepted. C. Please have the following information available when requesting an RMA request: order number, the name the order was placed under, item number/title, and the nature of the problem. D. All returns must be shipped back in the original packaging material and box. Failure to do so may invalidate both the RMA and the warranty. You must place the RMA number on either the return label or on the outside of the box and it must be easily visible. E. You will have 10 days from the date the RMA is issued to return the product, otherwise a 25% re-stocking fee will be applied regardless of the reason of return. This 10-day period does not apply to the refund period, which is 30 days from the date of the invoice. You must send us a tracking number within the 10-day period or the RMA becomes invalid. After the 10-day period has expired, the RMA is invalid and the return will be refused. F. All returns must include any cables, driver disks, or any other accessories provided with the order unless otherwise authorized. I. Refunds and credits are available only after the return has been received, tested and verified for authenticity. J. 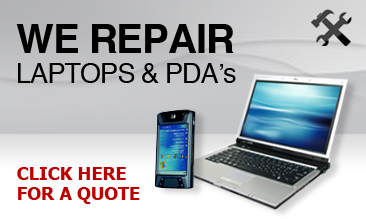 Manufacturers warranty is assumed void unless otherwise stated on your invoice. The ITSurplusLiquidators.com warranty will be voided at any time if the products are not returned in their original condition as sold, matching the specifications and serial numbers for all components contained therein. Non-conforming materials will be returned to the Shipper. If an item is damaged during shipping, the customer must contact us immediately at info@itsurplusliquidators.com to start the process of filing an insurance claim. Please provide your order number in the email.